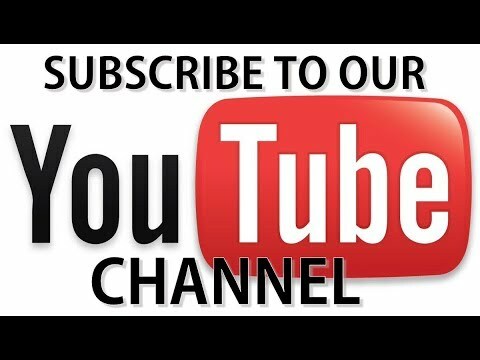 If you are the kind of player who thinks about the impact of plastics on the environment, then you should know what your options are in the category of organic strings. 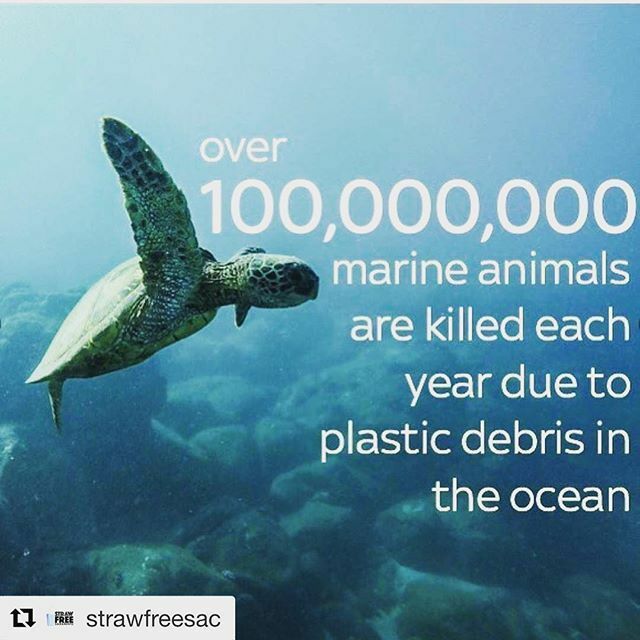 Unlike plastic strings which can take hundreds of years to break down, organic strings are animal byproducts and break down quickly and completely. 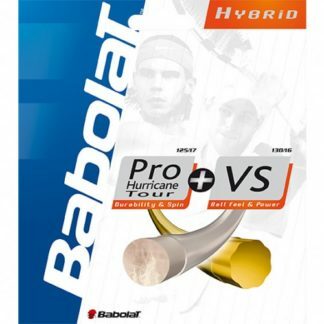 Babolat ™ leads the way in natural strings, of course. They started in France (1871) as a string company making strings for musical instruments. 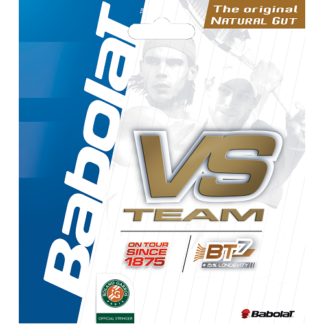 Now they are the world’s leading producer of natural gut racquet strings for tennis, squash and badminton. 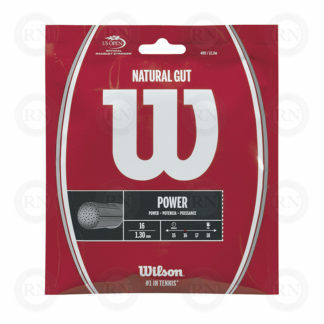 Once alone in this field, Babolat has recently been joined by Wilson ™ and Luxilon ™, both of whom offer their own versions of natural gut string for tennis racquets. 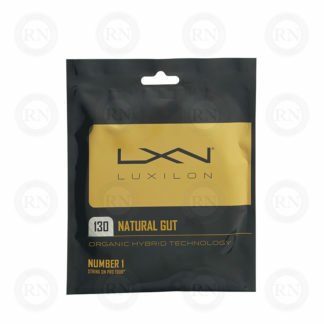 Advanced intermediate players and extremely hard servers may find they are breaking their strings too often after switching to natural gut. These players may want to switch to hybrid sets in the category below. Hybrid string sets feature plastic strings on the mains and natural gut on the crosses. This provides durability where durability is needed (on the mains) but opts for organic string on the crosses, which are least likely to break. 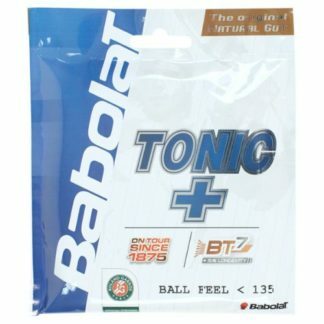 While nobody makes an actual set of natural gut strings for squash racquets, there is no difference between tennis and squash string other than the gauge. 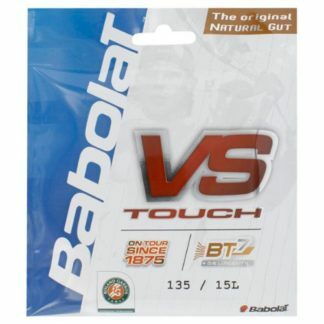 Typically, squash string is 17 gauge while tennis string is 16 gauge. However, there are lots of tennis players who string their tennis racquets with 17 gauge and many squash players who string their racquets with 16 gauge string. 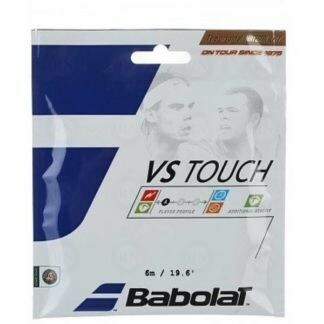 So don’t worry about the label “tennis string”. Squash players should simply look at the gauge. And if they find they are breaking 17 gauge too often, then they should switch to 16 gauge. 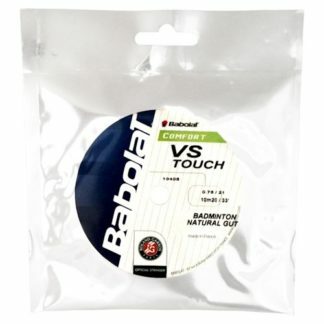 Squash players who switch to 16 gauge string and find they are still breaking strings too often should come into the store and talk to us. 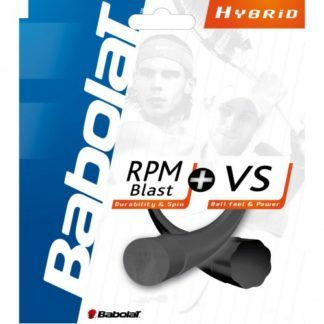 While there are no hybrid sets for squash, we can put together hybrid options off the reel that use half sets of natural gut on the crosses and plastic strings on the mains. 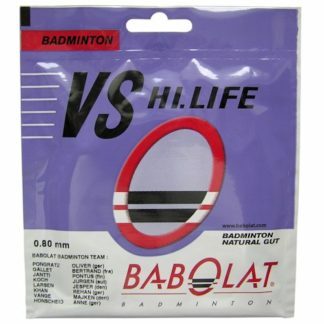 Badminton players who want to kick plastics to the curb don’t need to worry about gauges because Babolat makes several grades of badminton string in a few different gauges. 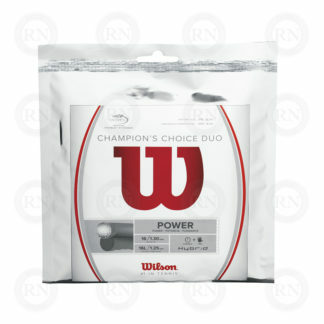 As with squash players, badminton players may have to experiment with different options in order to find a combination that holds up to steady use. And again, as with squash players, badminton players who are breaking strings too often should talk to our racquet techs in store. We can put together some hybrid options off the reel for anybody that is serious about reducing their use of plastic strings.